Just a quick note for those of you who haven’t already seen it on Twitter or Facebook. On Thursday, February 23rd at 2:01 AM my wife and I welcomed our second child into the world. 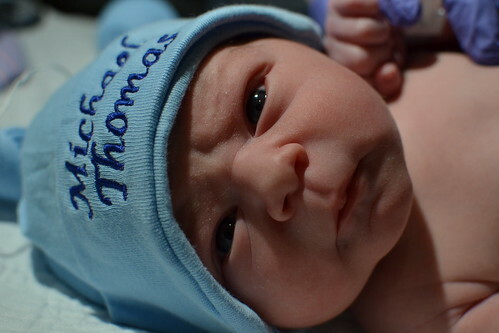 He’s a healthy baby boy: Michael Thomas Mielczarek. We currently have our hands full sorting out how to raise both a toddler and a newborn, so I’ll be mostly offline for another week still. Where are the release notes? 🙂 congrats! Congrats! Great news. Enjoy the little guys while they’re little.